Supra Thunder Low is a classic low top skater, vulcanized soles, canvas, nylon or chambre upper, and how about all these color choices? 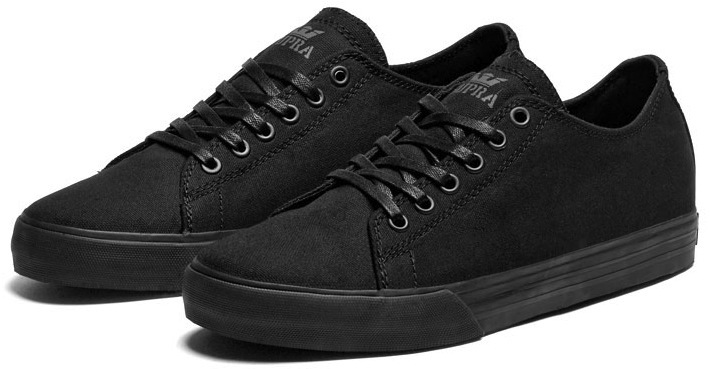 If there is one company that is putting out some serious vegan skateboard shoe color and size options, Supra is it. They even have some awesome All black shoes for your Halloween graveyard sneaking.